Studio Katia is giving away TWO $25 Gift Certificates to our Store! 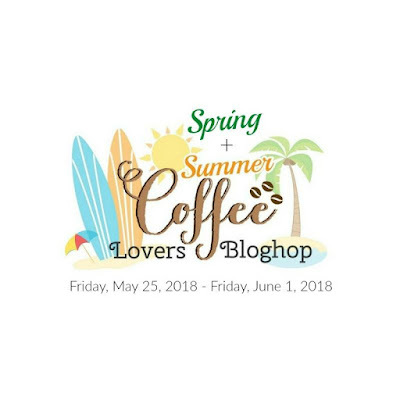 For all the info about winners and linking up, please head to 2018 SPRING | SUMMER COFFEE LOVERS BLOG HOP! 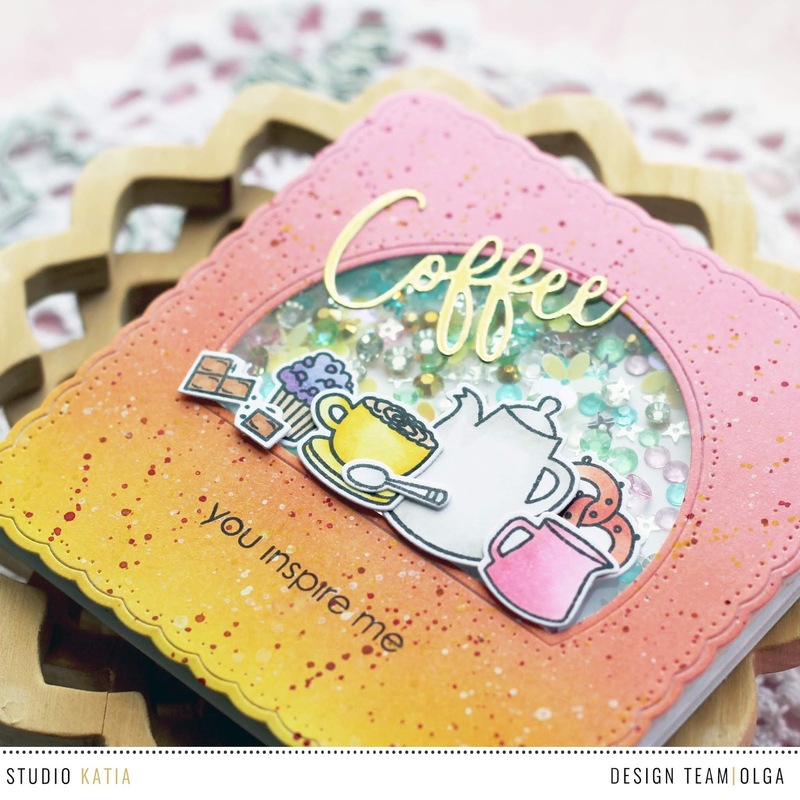 I used our Sweet Latte stamp set to create a fun cofee shaker card. This set of stamps has a whole bunch of cute images on the coffee theme and it's always hard to decide which one to use! 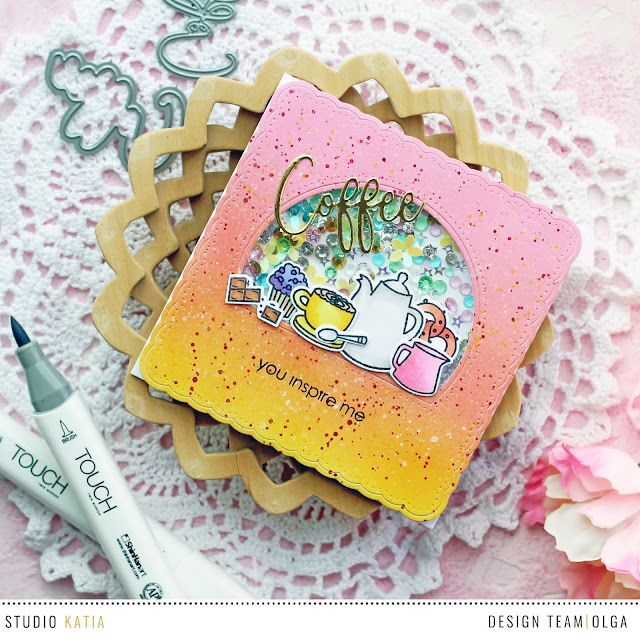 So I carefully picked my stamp images. Colored them with Copics and trimmed them out with the Sweet Latte Coordinating Die Set. Then I made an improvisation of the cupboard using Dotted Patterns: Scallop Square Creative Dies. Then I gathered a shaker that filled with Crystal Stars, Gold Crystals, Mint Dream Crystals Mix, Cupid's Kiss Crystals Mix and Radiant Pineapple Flowers. And I put that design on the base. Added the sentiment, It sounds like this: Coffee. You inspire me. 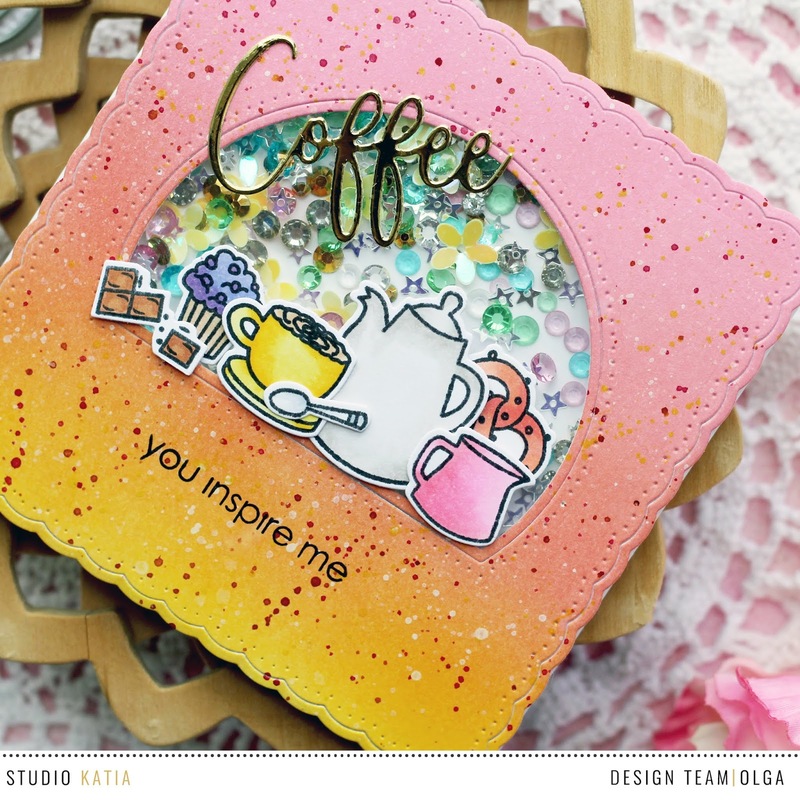 I cut out the word "COFFEE" using Coffee Scrip Creative Dies. 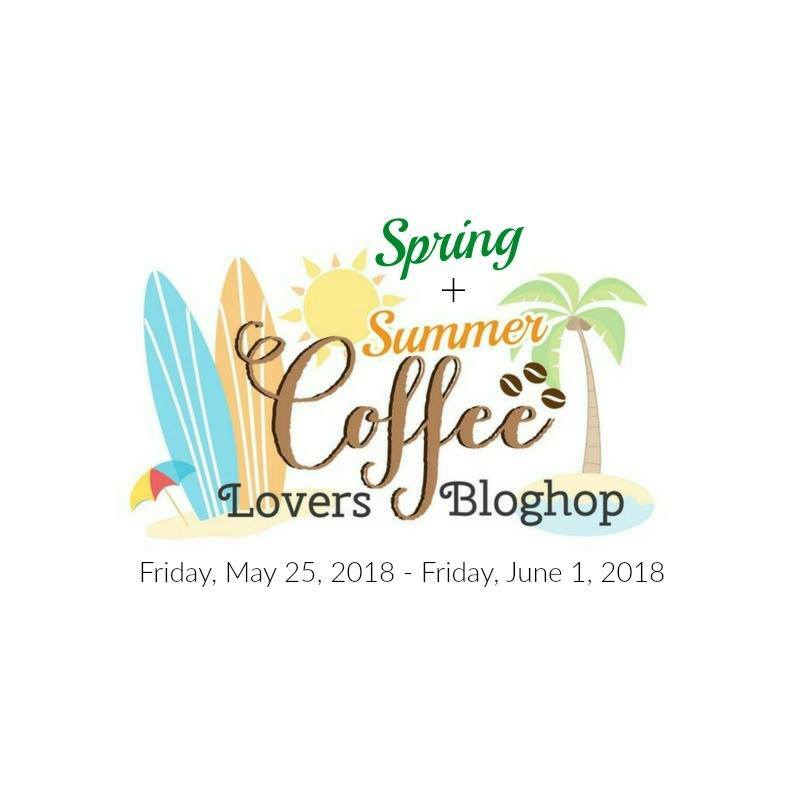 Hope you enjoyed my coffee card today! Awesome shaker card! Colors are simply breathless!!! Love this breakfast scene!